Akai Professional now introduces an all-new, reimagined Ableton Live controller—APC40 mk2. 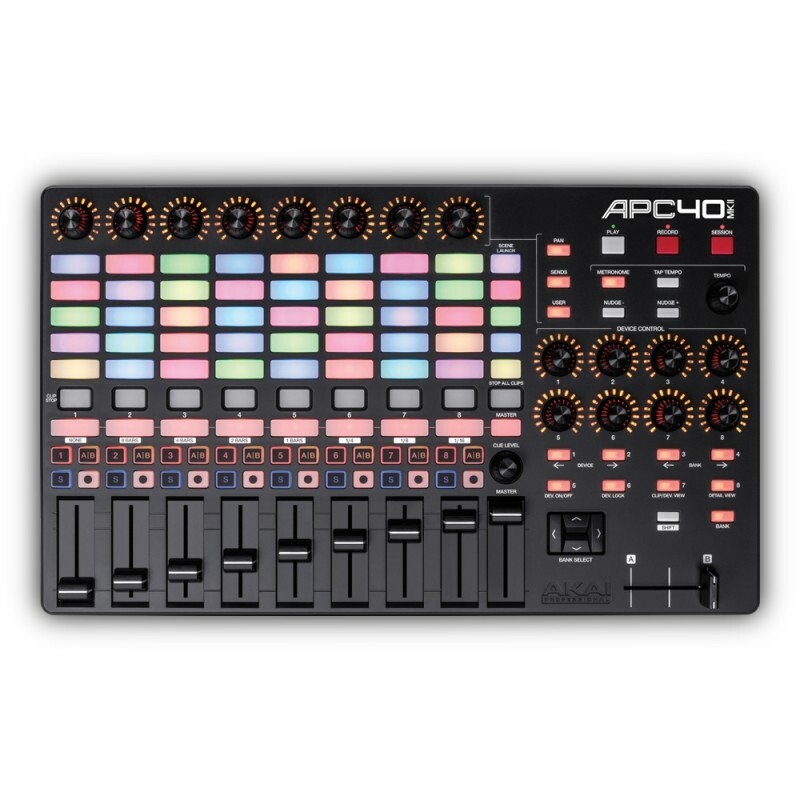 APC40 mkII comes packed with a music production suite that includes a version of Ableton Live, two high-definition virtual synthesizers, and 5GB of professional samples and loops for immediate out-of-the-box music creation. Ableton Live Lite enables musicians and producers to spontaneously compose, record, remix, improvise, and edit musical ideas in a fluid audio/MIDI environment. Also included is the Puremagnetik Effect Racks, a collection of over 200 sophisticated audio effects engineered for instant sound sculpting. This collection comes packed with an endless variety of channel strips, DJ and live sound effects, glitch racks, amp racks, modulators, filters, beat processors, and noise boxes. 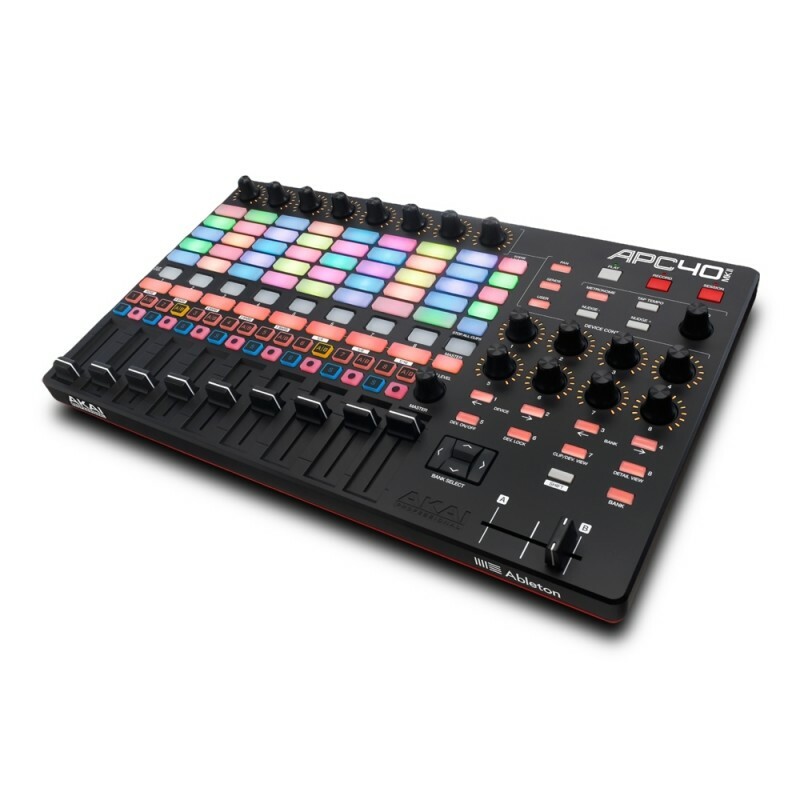 Hybrid 3, by AIR Music Tech, is a virtual synthesizer for electronic musicians, DJs, sound designers, and music producers who love to get their hands dirty. Create anything from fat, retro synth sounds to edgy, modern leads and everything in between. SONiVOX Twist is a spectral morphing synthesis virtual instrument. Comprised of a dynamic interface, an advanced pattern generator, and onboard effects, Twist lets you create serious sounds using simple controls. Finally, five Toolroom artist launch packs and five Prime Loops sample packs feature an eclectic mix of sounds from today's electronic music scene. Jump start your inspiration with these premium instrumental loops, drum kits, one-shots, and more.